Education in Gaspesia progressed very slowly before the twentieth century. In the year 1899-1900, there was only 65% attendance at school, meaning that one third of the children didn't attend. In winter, storms and bad roads were obstacles; in summer, parents needed help with fishing. Added to that was the difficulty of finding teachers and the obligation to pay school fees. The first school house . The first school house is believed to have been a log cabin situated behind Saint Andrew's Church. Benjamin Hobson was its schoolmaster for thirty-five (35) years. When Mr. Hobson sent his first report, he mentioned that the building was fast decaying. The elementary course lasted four years and was a full program: mother tongue, arithmetic, geography, history, etc. Many children didn't even finish the elementary course. The school house . The Model School, circa 1860, was built of wood by the inhabitants at a cost of four hundred dollars. The school house enrollment was at least seventy children. In 1909 a new wing was added but the school was sold and moved in 1915 to make way for a new school. This model course lasted two years and continued the elementary courses in more depth. The Protestant Academy of New Carlisle . Construction began in 1910 and was completed in 1915, making this the first high school on the Gaspé Coast. Pupils were able to graduate from the school with 11 years of scolarity [sic - scholarship]. In 1957 and in 1990, the building was renovated. After 1970, many administrative changes were made. Today, instruction is offered from the pre-kindergarten level through to the 8th Grade. The facility is now known as New Carlisle High School. [Photo captions, from top to bottom, read] . . Built in 1860 (right side) left wing in 1909. Sold and moved in 1915. L'éducation en Gaspésie a progressé très lentement avant le XXe siècle. Vers 1899-1900, on ne comptait encore que 65% de présence moyenne à l'école: un tiers des enfants n'y allaient pas. En hiver, les tempêtes et les mauvais chemins étaient des obstacles; et été, il fallait aider les parents à la pêche. S'ajoutaient à cela la difficulté de trouver des enseignants et l'obligation de payer des cotisations scolaires. Tout porte à croire que la première école était faite de bois rond, pièce sur pièce. Elle était située derrière l'église anglicane actuelle. En 1801, Benjamin Hobson, qui y enseigna près de trente-cinq ans, rapporte que le bâtiment est en voie de détérioration rapide. Le cours élémentaire durait quatre ans et le programme était très chargé: langue maternelle, arithmétique, géographie, histoire, etc. Un bon nombre d'enfants ne terminaient même pas ce cours élémentaire. fut ajoutée. L'école fut vendue et déménagée en 1915. Le cours modèle durait deux ans et on y approfondissan les matières étudiées au cours élémentaire. La construction débuta vers 1910 et s'acheva en 1915, ce qui en fit la première école élémentaire de la Gaspésie. La formation permettait d'atteindre la 11e année. En 1957 et en 1990, elle fut rénovée. Après 1970, plusieurs changements administratifs ont été effectués. Aujourd'hui, les élèves y font leurs classes de la prématernelle à la huitième année. L'institution est maintenant connue sous le nom de New Carlisle High School ou l'École anglaise de New Carlisle. • La maison école - The school House construite en 1860 (partie de droite) aile de gauche en 1969. Vendue et déménagée en 1915.
one third of the children didn't attend. In winter, storms and bad roads were obstacles; in summer, parents needed help with fishing. Added to that was the difficulty of finding teachers and the obligation to pay school fees. The first school house is believed to have been a log cabin situated behind Saint Andrew's Church. Benjamin Hobson was its schoolmaster for thirty-five (35) years. When Mr. Hobson sent his first report, he mentioned that the building was fast decaying. The Model School, circa 1860, was built of wood by the inhabitants at a cost of four hundred dollars. The school house enrollment was at least seventy children. In 1909 a new wing was added but the school was sold and moved in 1915 to make way for a new school. Construction began in 1910 and was completed in 1915, making this the first high school on the Gaspé Coast. Pupils were able to graduate from the school with 11 years of scolarity [sic - scholarship]. In 1957 and in 1990, the building was renovated. After 1970, many administrative changes were made. Today, instruction is offered from the pre-kindergarten level through to the 8th Grade. The facility is now known as New Carlisle High School. • Built in 1860 (right side) left wing in 1909. Sold and moved in 1915. • Children being "bussed" during World War II. Location. 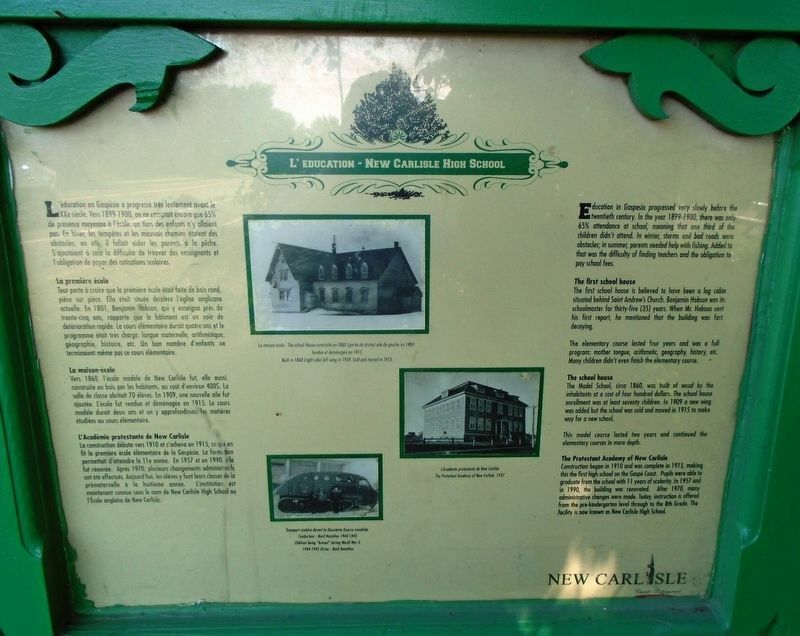 48° 0.525′ N, 65° 20.264′ W. Marker is in New Carlisle, Quebec, in Bonaventure MRC. Marker is on boulevard Gérard-D.-Levesque just west of rue Church, on the right when traveling east. Touch for map. 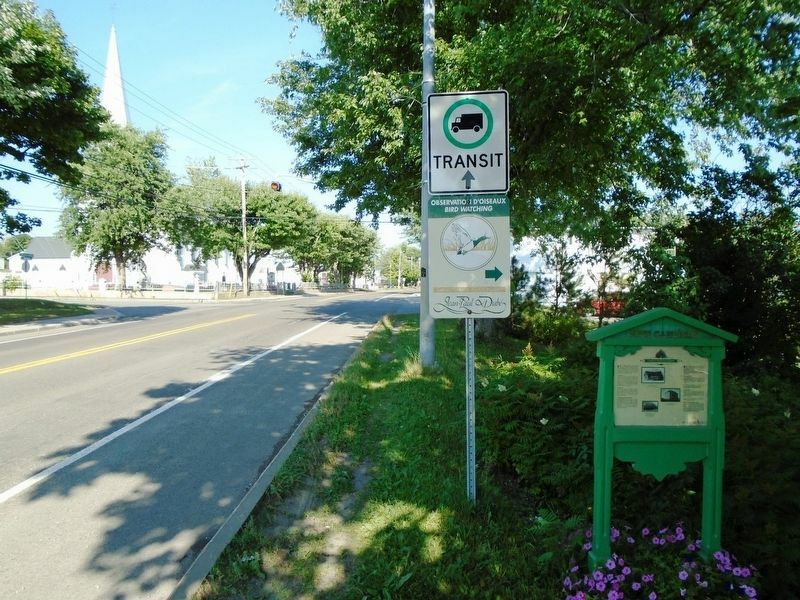 Marker is at or near this postal address: 198 boulevard Gérard-D.-Levesque, New Carlisle, Quebec G0C 1Z0, Canada. Touch for directions. Other nearby markers. At least 7 other markers are within walking distance of this marker. L'Eglise anglicane Saint Andrew's Anglican Church (within shouting distance of this marker); Maison Tremblay House / L'eglise Unie Zion United Church (approx. 0.6 kilometers away); L'eglise presbyterienne - Knox Presbyterian Church (approx. 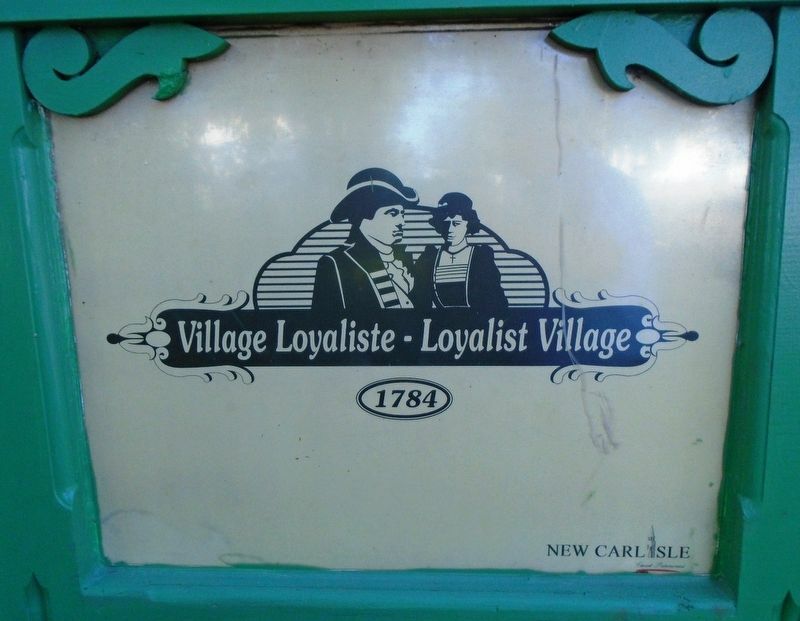 0.7 kilometers away); The Loyalist / Les Loyalistes (approx. 0.7 kilometers away); La naissance de New Carlisle / Parc municipal (approx. 0.8 kilometers away); War Memorial (approx. 0.8 kilometers away); Légion Royale Canadienne / Palais de Justice (approx. 0.8 kilometers away). More. Search the internet for L'education - New Carlisle High School. Credits. This page was last revised on March 21, 2019. This page originally submitted on March 21, 2019, by William Fischer, Jr. of Scranton, Pennsylvania. This page has been viewed 35 times since then. Photos: 1, 2, 3. submitted on March 21, 2019, by William Fischer, Jr. of Scranton, Pennsylvania.